ARCADIA, Calif., March 28, 2019 – Much like the wild flowers of Spring, retired racehorses were in a super bloom at the Thoroughbred Classic Horse Show (TCHS) on March 23 and 24 at Galway Downs in Temecula. 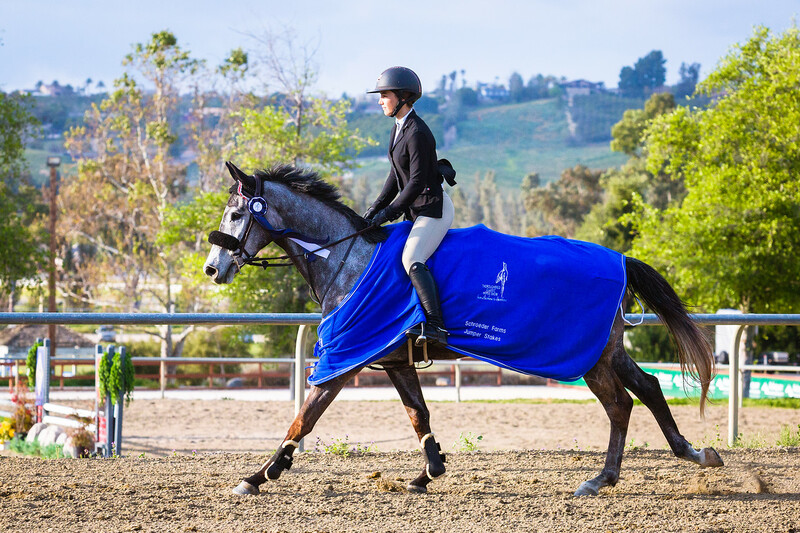 The equestrian sporting event, hosted by CARMA (California Retirement Management Account) as an awareness campaign to promote the adoption off-track Thoroughbreds, drew 96 entries. To showcase the versatility of the breed the TCHS offers hunters, jumpers, cross country, dressage, barrel racing, pole bending, lead line and showmanship. The purpose of the TCHS has always been one of inclusiveness and variety, encouraging our exhibitors to bring their horse to an environment that is both welcoming and accommodating. The connections to racing were strong at this show. For the third straight year, TCHS Youth Ambassador Amanda Gomez, the 15-year-old daughter of Hall of Fame jockey Garrett Gomez, won the 1.00M $1,500 Jumper Stakes aboard her 6-year-old gelding Amadeus (Jockey Club: Quick Louder) out of 10 riders. The $1,500 Hunter Derby, sponsored by the Stronach Group, Santa Anita Park and Golden Gate Fields, was captured stylishly by Madison Dunham, daughter of race trainer Daniel Dunham, and her horse Cognoscente – an 8-year-old gelding previously trained by her father. Notably, Madison and Cognoscente also finished second in the Jumper Stakes. The winner of the $1,000 Dressage Challenge was Katherine Rich-Elzig and her mount, Count On Me. The $1,500 Eventing Challenge held exclusively at the March show which combines scores from stadium jumping, dressage and cross country – was won by Chavez Ravine and his rider Lisa Gonzalez. The next TCHS event will be on December 7-8, 2019 at the Los Angeles Equestrian Center in Burbank, CA where year-end awards will be given to high point exhibitors who participated at the Galway Show and sponsored TCHS classes offered at the Camelot Show Series. Sponsors of the TCHS include: The Borick Family Foundation, Siegel-CARMA Foundation, The Stronach Group, Santa Anita Park, Golden Gate Fields, Parker Equine Insurance, C4 Equestrian, SleekEZ, Pasadena Polo Club, Matthew Chew Racing Stables, California Custom Bonnets, and Smart Pak Equine. For more information about the TCHS and CARMA, go to ThoroughbredClassic.org or CARMA4horses.org. Results for all the divisions and disciplines from the weekend’s Galway Show can be found at Horseshowtime.com.